Patrick Hopkins is co-director of the Accelerated Program for Non-Nurses, an intensive program that prepares students who already have a bachelor’s degree for a career in nursing. He teaches pathophysiology in the accelerated bachelor’s program and content on the care of children and families in the pediatric nurse and family nurse practitioner programs. He has been recognized with the Dean’s Award for Excellence in Teaching, the Mary Dombeck Diversity Enhancement Faculty Award, and the Outstanding Scholarly Practitioner Award in the School of Nursing. A native of England, he has worked in the Neonatal Intensive Care Unit (NICU) at Strong Memorial Hospital since relocating to Rochester in 1994, rising from staff nurse to nurse leader to neonatal nurse practitioner. 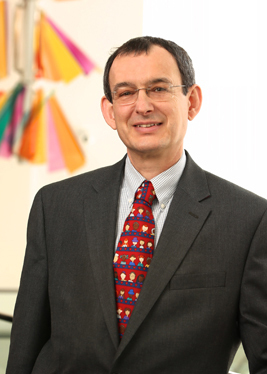 He is a member of the URMC Ethics Committee, Committee for Family Centered Care, and the NICU Safety Committee. Hopkins earned his master’s degree from the pediatric nurse practitioner program, his post-master’s certification as a neonatal nurse practitioner, and his Doctor of Nursing Practice degree from the School of Nursing. He earned a bachelor’s degree at the University of Hull and his registered general nurse degree at St. James University Hospital in Great Britain.